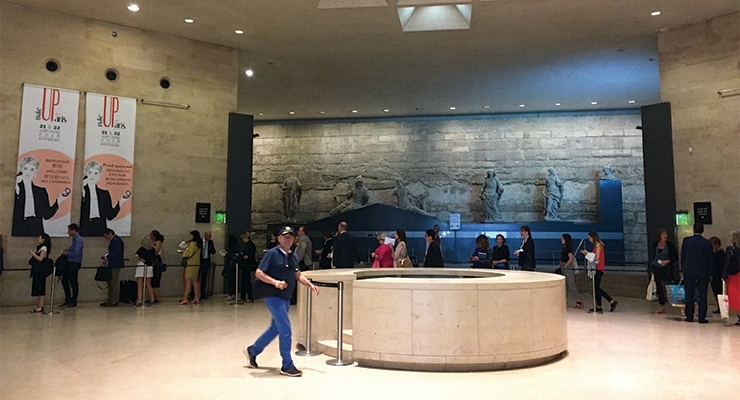 Ancient statues in The Louvre Museum contrasted with the modern-day crowd lined up for entry to the ninth edition of MakeUp in Paris. 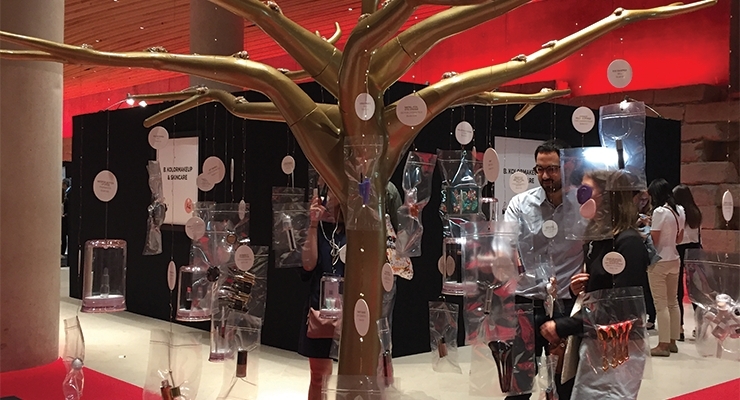 This year’s Innovation Tree branched out to 35 products. 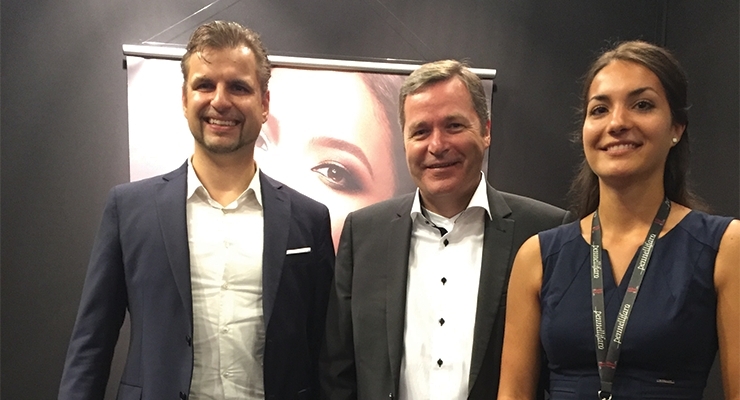 Full-service specialist HCT Group ticked a number of boxes related to makeup and skincare trends, including a multifunctional swing compact with a cushion inside. 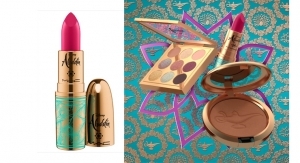 Geka’s Nomadic Treasure collection was based on the theme “supernatural meets glamour,” and used a new pigment for some of the deco. 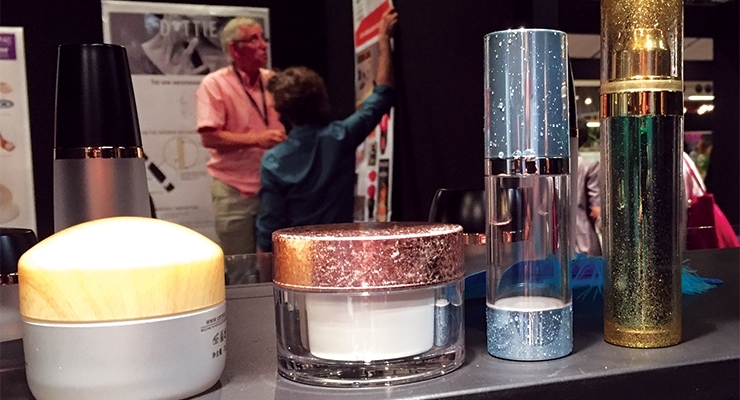 Special decorative effects on aluminum components were a highlight at Libo Cosmetics. 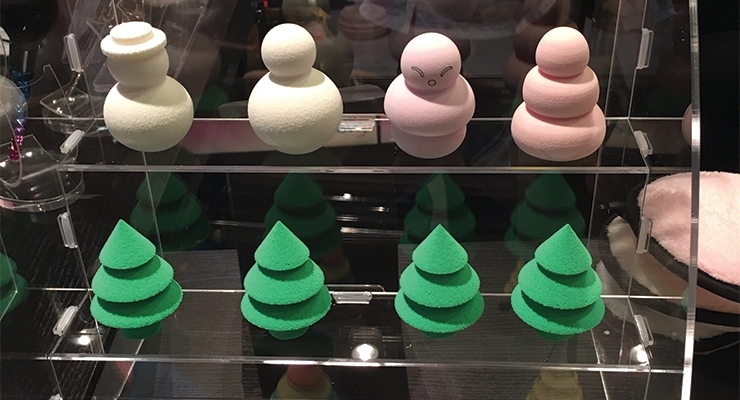 At Queens Packaging, a variety of new plastic caps were available in styles including wood-like textures and dome shapes. 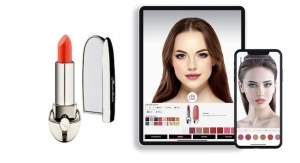 Onyx Face Trio, a turnkey solution from Albéa provides a full-face routine in one on-the-go modular compact. 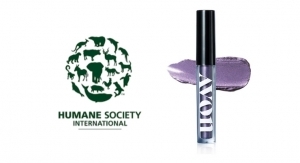 HCP-RUSI’s Love Your Lashes glitter mascara features a clear bottle with a shiny purple hot foil design, and houses Glitter & Shine Mascara, supplied by Gotha Cosmetics. 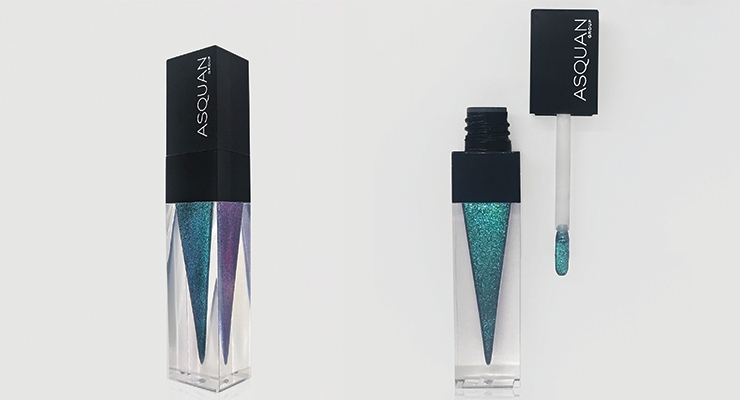 Asquan’s striking, thick-walled 5ml bottle with a 3D triangular inner core that resembles a sharp-pointed dagger or icicle can be used to house any lip or eye product. 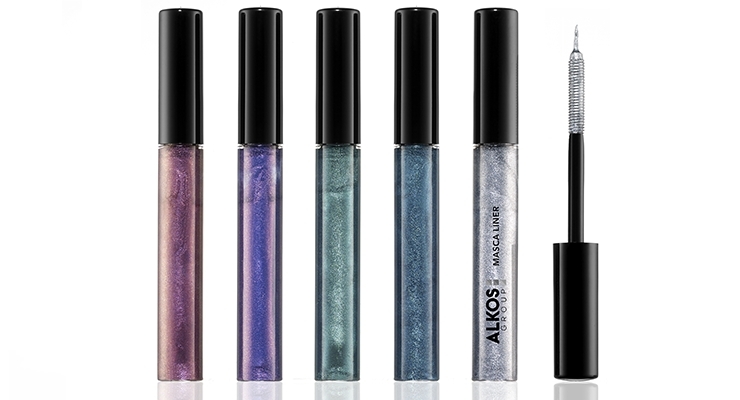 A double duty mascara-liner at Alkos contains a fun glitter formula. 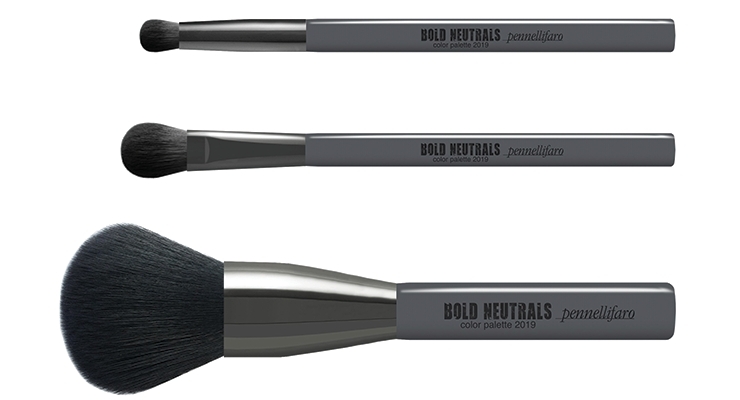 Pennelli Faro’s new Color Palette Brush Collection for 2019. 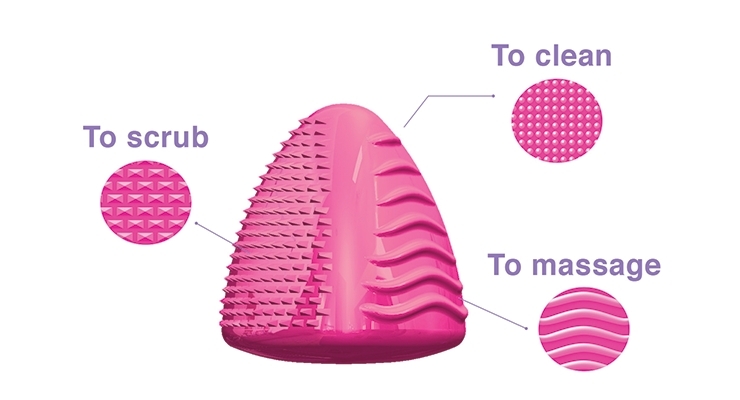 The three-sided silicone Clean Pyramid beauty tool, from Cosmogen, cleans, exfoliates and massages. 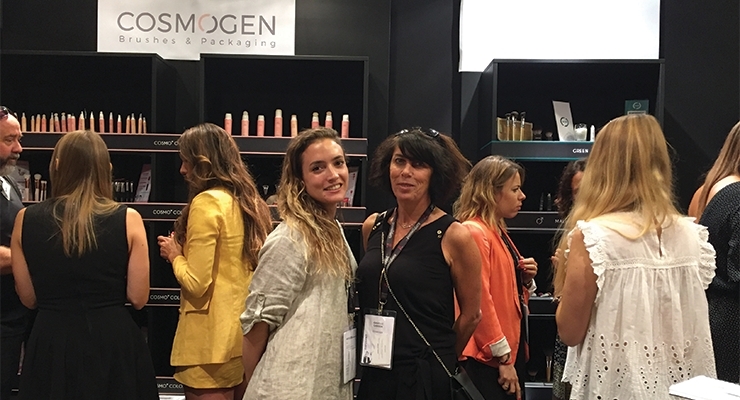 A rising interest in J-Beauty brought Japanese supplier Nippon Shikizai to the Paris event. 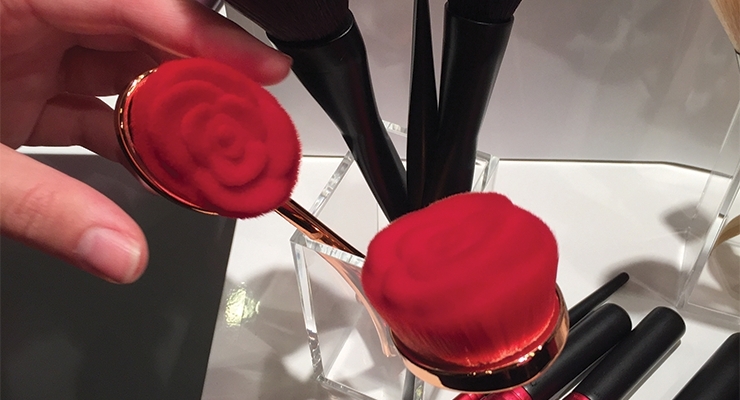 The Blooming Rose brush design from Beauty Yaurient won a place on the Innovation Tree. 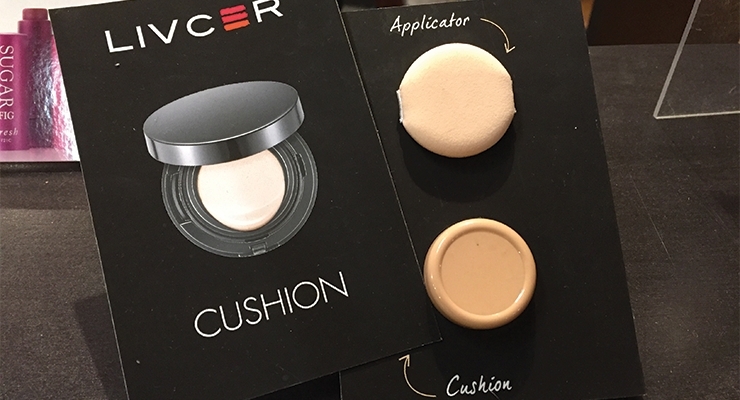 Livcer offered a mini cushion compact with liquid foundation that can be inserted flat in a magazine. 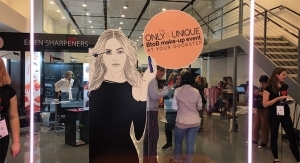 MakeUp in Paris marked its ninth anniversary on June 21, as it opened its doors at Carrousel du Louvre for two B2B beauty-filled days. 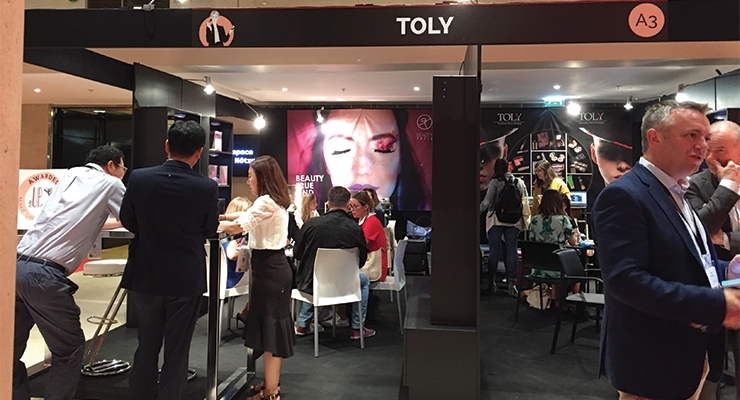 More than 4,000 visitors (including 1,255 international attendees from 57 countries) toured the show—a new MakeUp in Paris record. 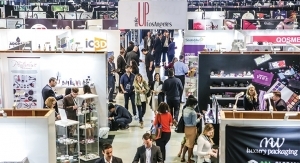 This year’s edition also included skincare as a complementary feature, and many of the exhibitors offered packaging and formulations that bridged the two categories. 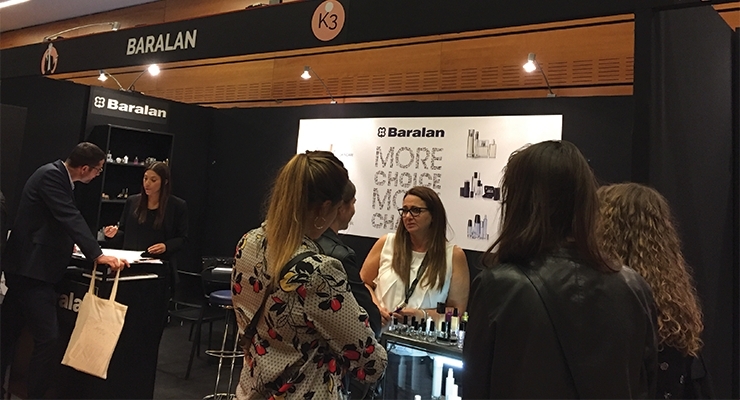 In fact, Sandra Maguarian, MakeUp In… co-founder and director of the show that is now owned by Infopro, told Beauty Packaging, that nearly one-third, at least 50 of the 160 exhibitors (including 45 new exhibitors) presented skincare solutions. 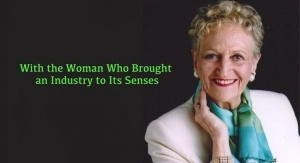 Maguarian explained that category trends are changing for the time-being. 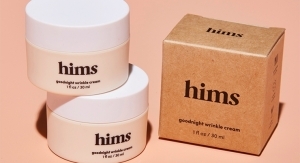 While makeup is remaining flat across the industry, “trends in Asia, are generating much more interest in skincare.” Still, Maguarian predicts: “Millennials using makeup will grow a lot—and very fast.” After all, she said, you need good skin to apply makeup and get the full effects. 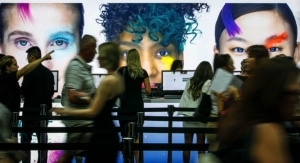 A dozen conferences were packed with attendees interested in topics from the Phygital (Physical and Digital) market to the makeup market in the Middle-East. 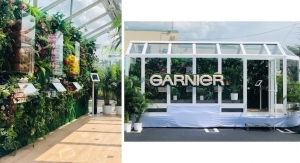 The now iconic MakeUp In… Innovation Tree once again stood strong at the show’s entrance, this time with the branches holding 35 innovative winners chosen from more than 80 products submitted for judging. 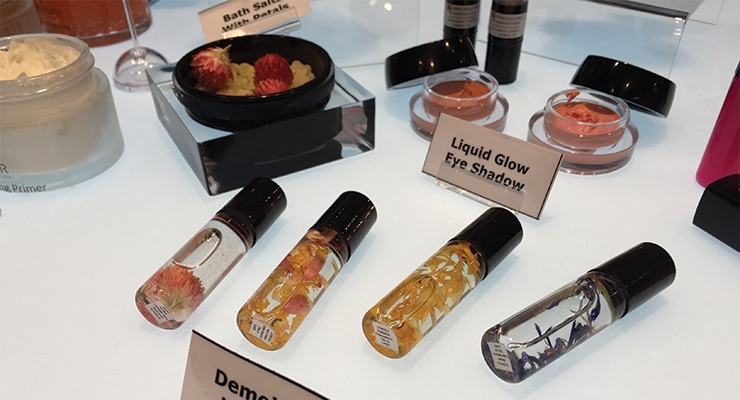 Trends that stood out at this year’s show included Stock Packaging, Full Service, Clean Beauty, Sustainable Packaging, Double Duty, Glitz and Glitter, Metals and Metallics, and an eye on the U.S. market. 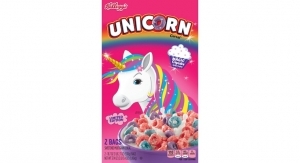 What was especially noticeable was the increasing crossover between many of these trends. 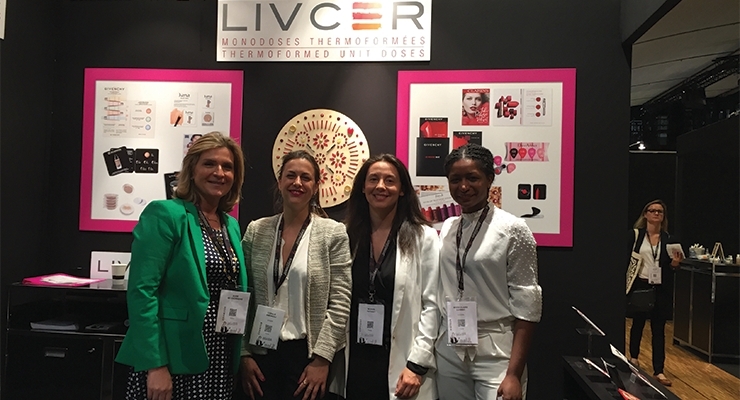 Full-service specialist HCT Group ticked a number of boxes related to makeup and skincare trends. 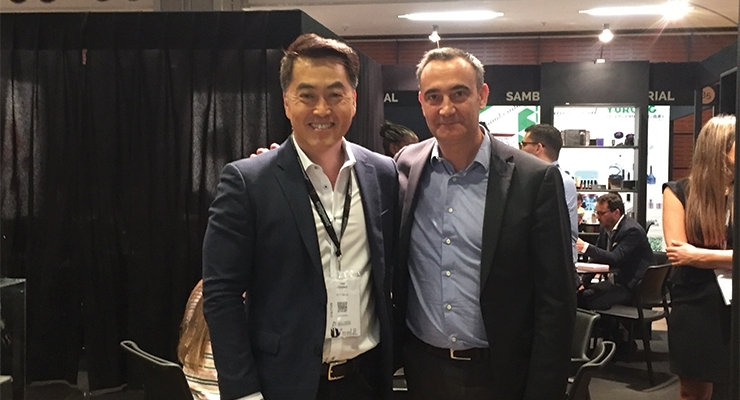 Jae Chong, SVP global skin care division, HCT, told Beauty Packaging that they’re seeing a lot of demand for cushion compacts and 2-in-1 double duty items—including 2-in-1 cushion compacts. A 76 swing compact (the godet swings open) with a cushion inside, plus multi-compartments for items such as color and concealer on top, provides all the must-haves in one package. A 73 Swing compact (the base swings open) includes a cushion above and point makeup that slide and swing open. 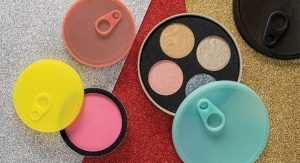 A square cushion compact includes a crayon for a lip or eye product. HCT offered a number of stick packages as well, which Chong says “are especially popular in Asia.” HCT offers a stick with no dial on the bottom—also a dual stick with no dial, utilizing the base for a propel and repel function—and it’s a bottom-fill component. Lots of new deco options at HCT include a process in which glitter moves on the top of the compact. 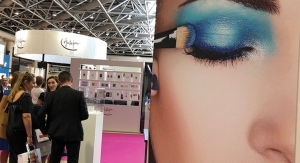 Geka was showcasing forecaster agency Beautystream’s 2019 spring/summer trends in the collection they were introducing at MakeUp in Paris. 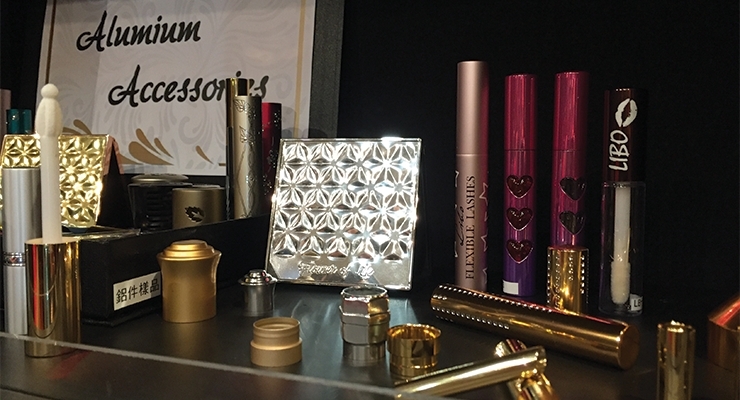 Geka’s Nomadic Treasure collection was based on the theme “supernatural meets glamour,” and includes two mascaras, an eyebrow unit and a lip gloss. 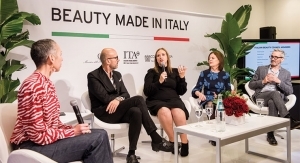 The packaging of one of the mascaras is decorated with a high-grade master batch with a special new type of pigment that achieves the effect of luxurious, liquid gold, explained Stefanie Gunz, marketing manager, Geka. 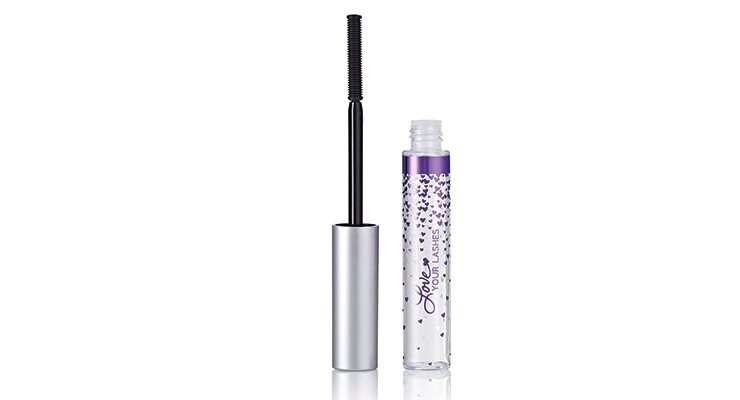 The second mascara in the collection features the two-component brush lashDIVINE, that is produced with Geka’s 2K “Sandwich” technology. With alternative rows of shorter and longer bristles, the new two-component brush is conceptualized for extreme volume and definition due to its extra bristles at the tip. The packaging’s touch of glamour is achieved via special new metallic pigments in the Deep Ocean shaded master batch, which generate a chrome effect. 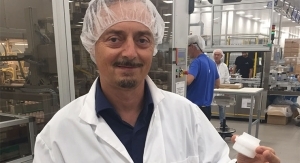 At Queens Packaging, Simmer Wang pointed out a variety of new plastic caps for jars. These were available in styles including wood-like textures and dome shapes. Decorations included a waterdrop textural feel—you could see and feel the “bumps.” Glitter with a textural feel was also meant to attract attention at shelf, as were shiny caps and bottles with a “smashed” metallic effect. 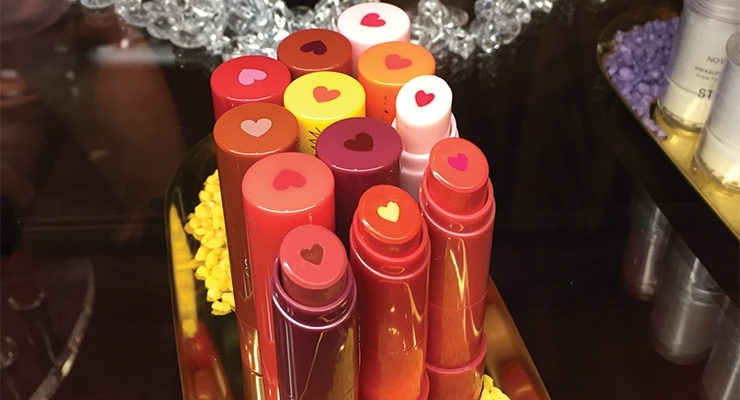 Full-service supplier HwaSung Cosmetics, with two factories in South Korea, showcased an array of lipsticks with cute graphics. 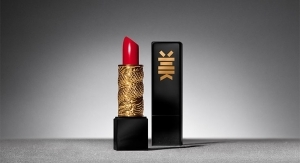 The supplier says they can print any design on a lipstick bullet and can match the image on the cap’s top. 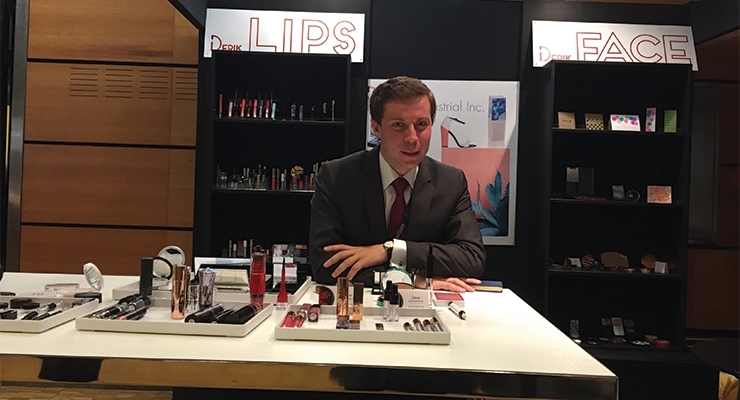 Their expertise lies in all shaped sticks—from lipsticks to eyebrow and eye liner products. 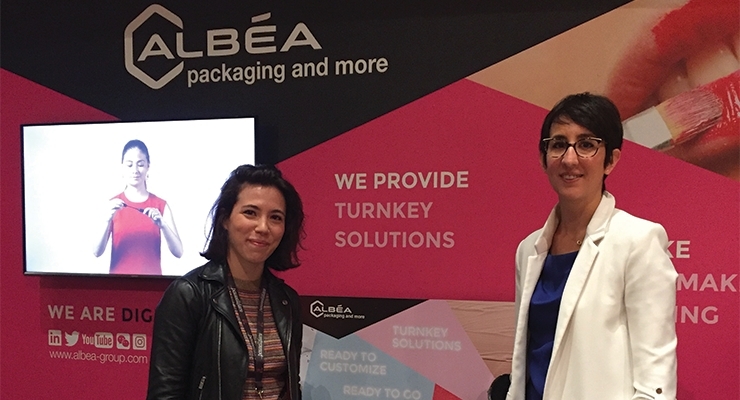 Albéa presented its full “Library of Turnkey Solutions,” from Albéa Beauty Solutions—the Albéa department which designs, develops and delivers cosmetic turnkey solutions for all beauty brands, both heritage and Indie. 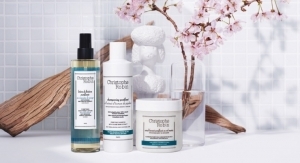 The collection includes more than 50 “ready to customize, ready-to-go products,” according to Clementine Barbet, communications manager, “and is ideal for Indie brands looking for fast launches.” She said the full-service formulas, many of which are double-duty, are neutral—so they work for all skin colors. 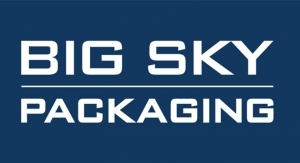 Packages can be decorated via digital printing. 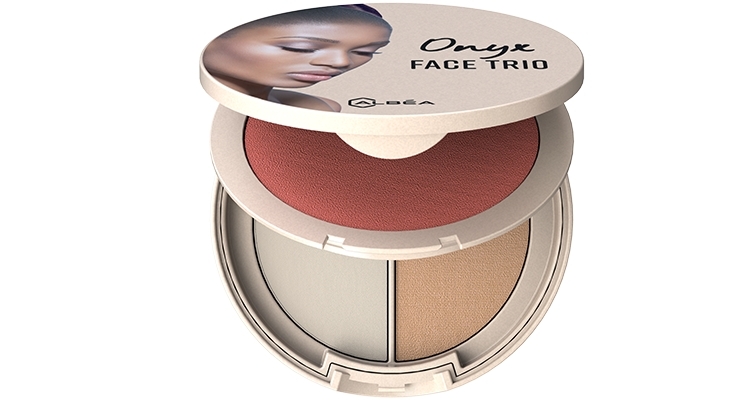 One product, the Onyx Face Trio, serves multiple duties, with one pan on the top and two pans on the bottom. 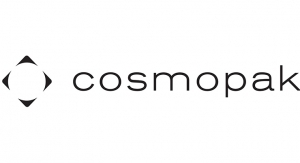 The product provides a full-face routine in one on-the-go modular compact. 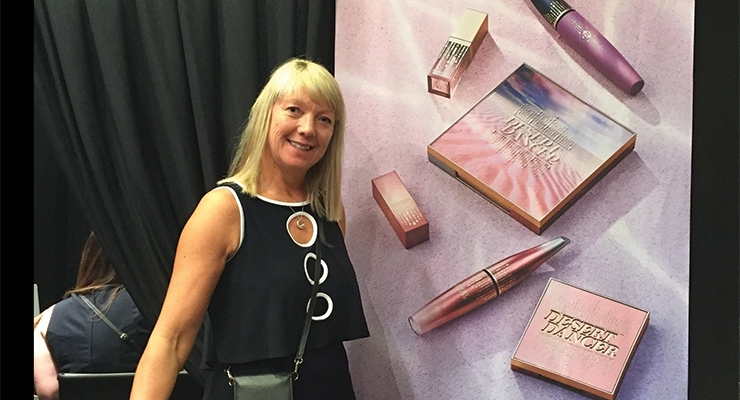 HCP Packaging was highlighting its vast mascara offerings thanks especially to its past acquisitions of both SIMP, “with its micro-precision plastic mascara brushes,” according to Jackie Mantle, managing director, HCP Packaging UK Ltd—and RUSI, “with its full line of stock packaging for everything from mascara to face and lips.” HCP-RUSI had collaborated with a number of lip gloss and mascara formulation suppliers—including Gotha, Weckerle and Chromovas—to show a selection of filled packs, and to highlight performance. HCP’s Glitter Storm palette spotlighted floating glitter “as a highly decorative feature” along with 3D glitter effects on caps. 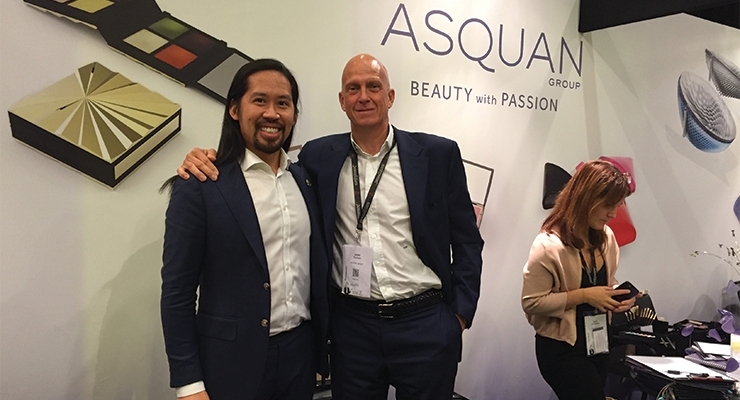 Jonathan Chung, vice president of sales, North America, Asquan Group, showed Beauty Packaging a striking, thick-walled 5ml bottle with a 3D triangular inner core that resembles a sharp-pointed dagger or icicle. 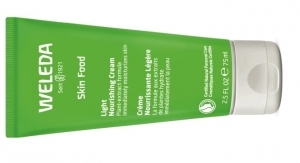 It can be used to house any lip or eye product. 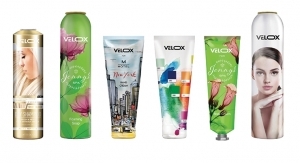 The stock item is also offered in 2ml; deco is available and lead time is 10-12 weeks. 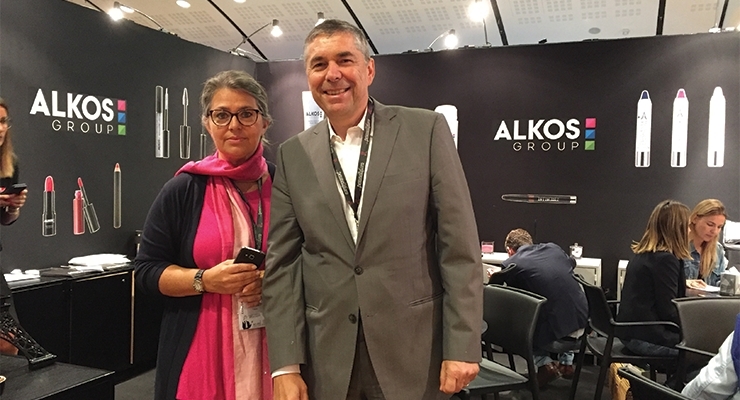 One interesting and pretty product for eyes at Alkos was a double duty mascara-liner called the Dipliner. Its fine brush tip draws precise lines to define eyes with a fun glitter formula that promises to stay put all day without smudging or flaking. 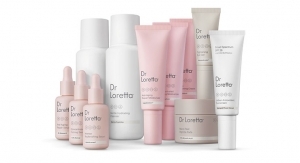 It is ophthalmologically tested and infused with glycerin to help nourish, condition, and moisturize the lash line and take care of the delicate eye area. 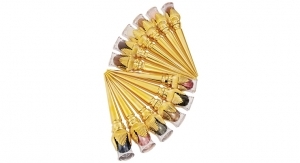 The wand also features mascara bristles to coat lashes in glitter, making it an ideal 2-in-1 tool for a smudge-free, glamorous, sparkling makeup look. 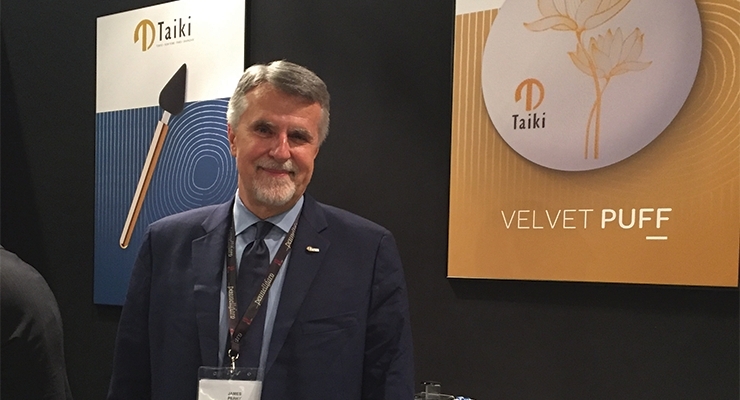 There was an emphasis on stock packaging at Pennelli Faro. 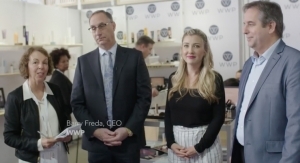 CEO Sara Zanafredi spoke about the brush manufacturing firm’s large standard collection, highlighting the new Bold Neutrals Color Palette 2019 brush collection. 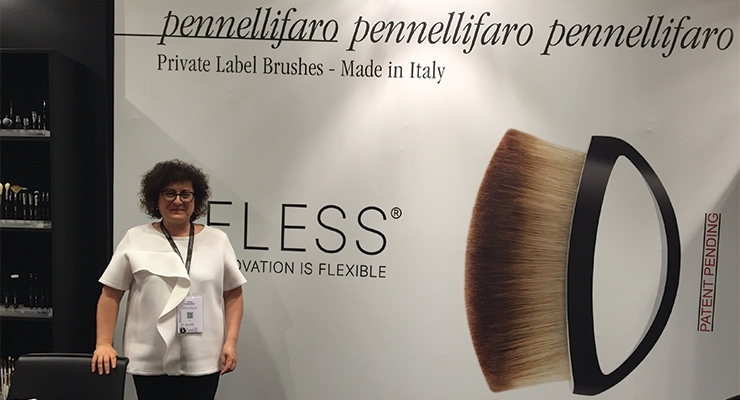 She said Bold Neutrals is a representation of “what we can customize, starting from a standard brush.” Penelli Faro now offers more than 300 brushes within 10 collections in their standard portfolio, with a wide range of options for decorating, finishing, coloring, etc. 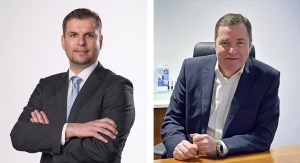 “It’s the first step of customization for the many demands for quick-to-market,” added Zanafredi. 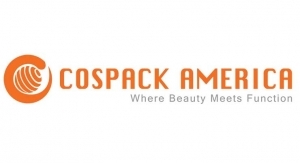 What’s more, the brushes can be ordered in small quantities. 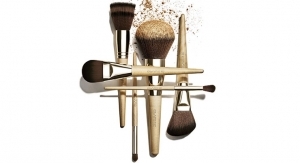 The 300-piece collection includes a spa and skincare collection, as Zanafredi told Beauty Packaging: “The skincare market is growing very fast.” Another collection features ferrule-free brushes, which are non-allergenic, aesthetically pleasing and eco-friendly—“very clean,” noted Zanafredi. 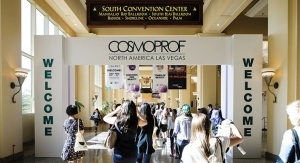 Skincare was in the forefront at Cosjar, which was exhibiting at the event for the first time. 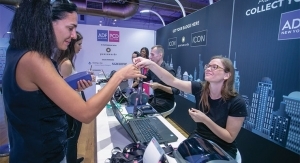 Fifi Chia, sales manager, said they were participating because they “wanted to get a ‘read’ on what customers are looking for.” The supplier featured a number of items for skincare including airless packaging, droppers and cream jars. 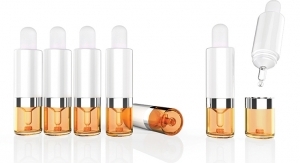 A syringe with an airless system is designed to target special areas. 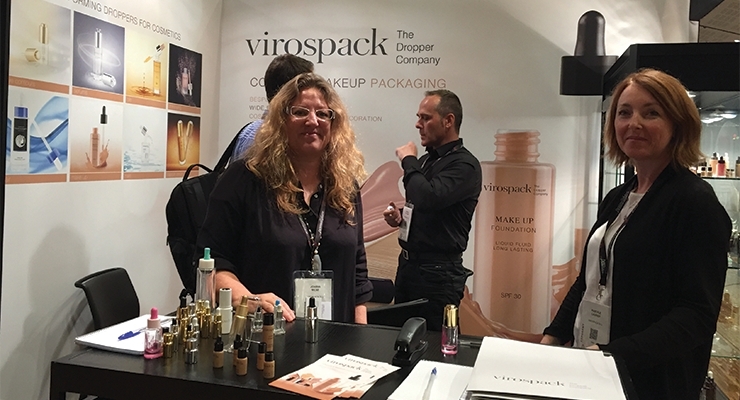 Joanna Milne, key account manager, Virospack, which provides dropper systems for skin care and makeup, reported excellent traffic and attendees at the Paris event, with lots of interest in sustainability and in protecting ingredients. 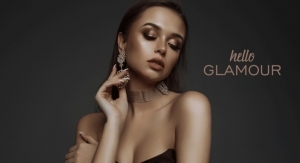 She noted the trend toward adding glitter and glow to formulas that can be applied with droppers, including foundations and highlighters with shimmer and glitter. “It’s a West Coast (USA) trend,” she said. 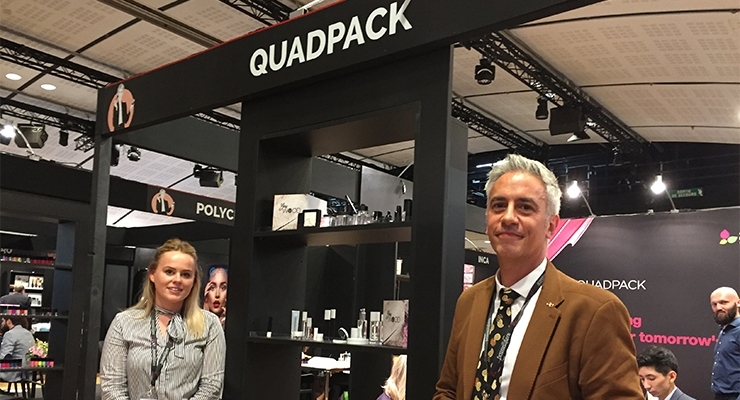 Quadpack drew a lot of interest with its new You Wood range designed specifically for color cosmetics. 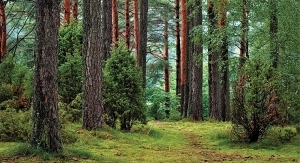 The supplier says they have tripled their turnover of wood components in the last three years. 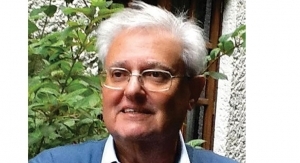 “Wood is more eco-responsible, very sensorial—and we can now do lots of deco on wood to make it truly luxe, for example burning the wood and adding a varnish,” said Guillaume Bichon, key account manager. Bichon noted that wood is more for premium brands. 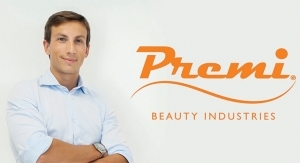 He also said that skincare brands that are now using wood are looking to extend the material to makeup. 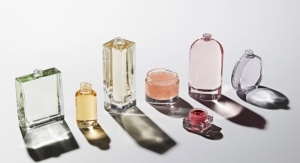 Lumson presented their Unique Collection, a full family for skincare, which includes a glass jar with a plastic inner jar. 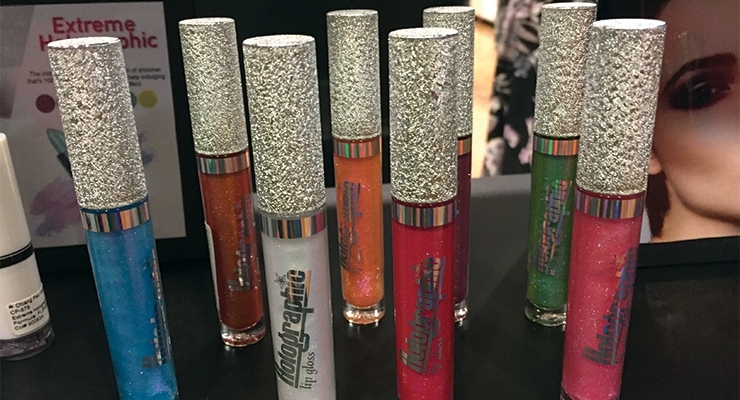 On the color cosmetics side, the supplier was featuring its striking Pop-Up technique for decorating lipsticks and small caps. 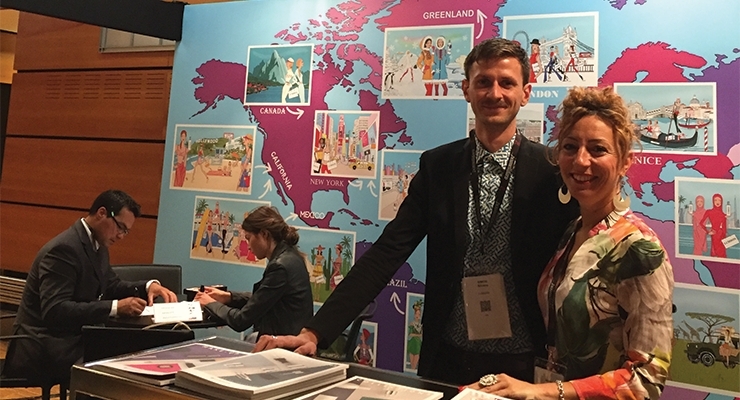 A rising interest in J-Beauty brought Japanese supplier Nippon Shikizai to the Paris event. 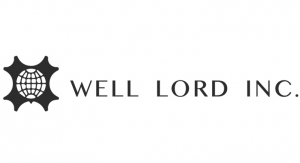 Herb and flower-infused formulations, stood out in bottles from lip products to skincare, and offered a fresh-ingredient, handmade look. 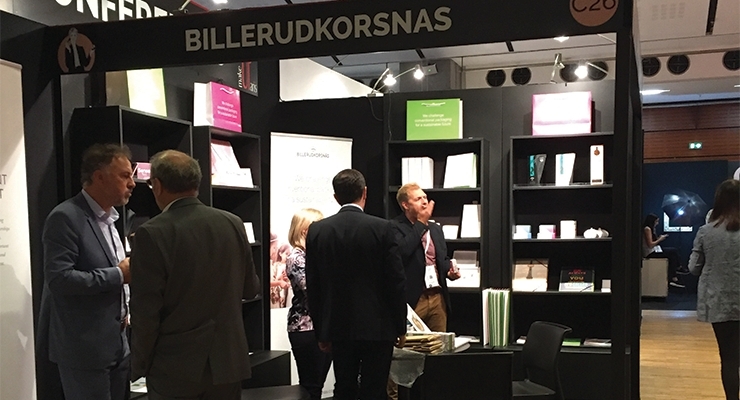 Sustainability and highly appealing componentry were key attractions at Asquan. 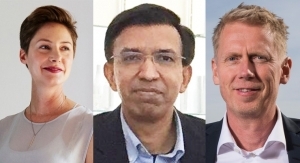 Angel Tsoi told Beauty Packaging that “with recycling becoming a major focus in our world,” Asquan had developed a range of products that can be either recycled, re-used or re-filled. 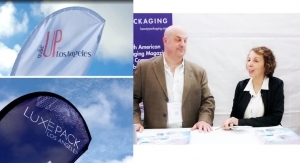 One focus was on bags, with durable paper pouches that can be turned into bags; sustainable cork bags; and biodegradable bags. 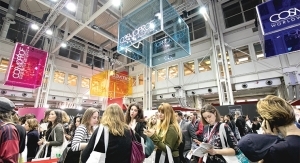 As evidenced by the crowd of attendees at Alkos, Florence Lefeuvre, group sales, marketing and communications director, Alkos Group, told Beauty Packaging: “This show is always a good one.” She said there had been a lot of interest in a luxurious shampoo bar soap they had developed. 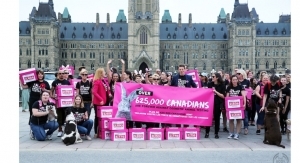 “It’s a very clean, very millennial trend,” said Lefeuvre. 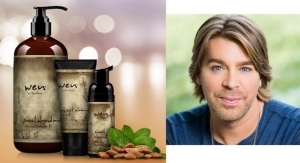 Ideal for travel, but equally efficient for at-home use, this shampoo bar provides about 60 washes and takes the place of three bottles of liquid shampoo. 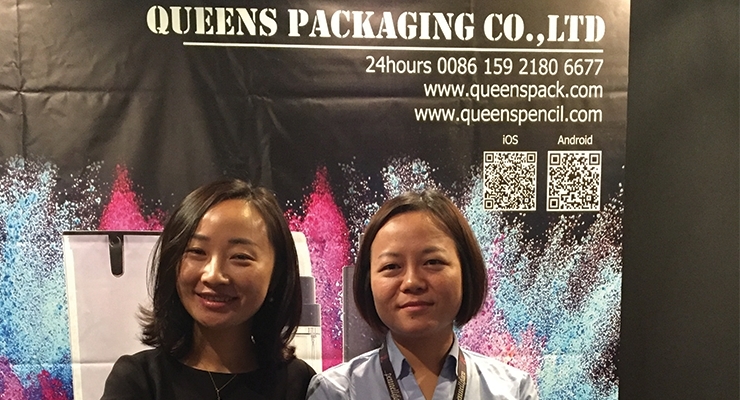 Jespon Co. Ltd, is a second-generation family-owned business that specializes in sponges. 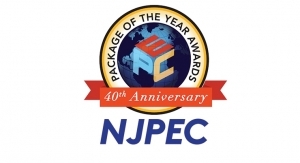 A new hydrophilic NBR sponge is made of the “most popular material in the world,” according to John Lee. 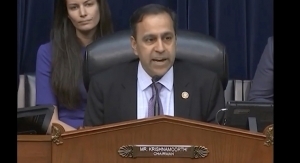 But he explains that “Until now, it could not absorb water. Asadal, a South Korean supplier with a factory in China, displayed a large variety of brushes. 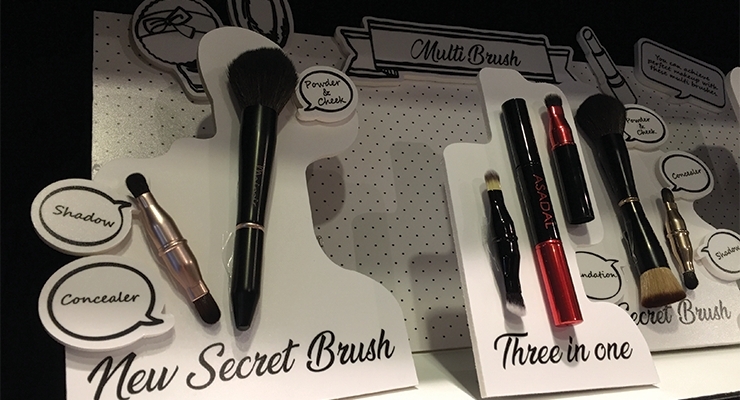 The company’s new Secret Brush is a large tool that has a small double-ended brush hidden inside. 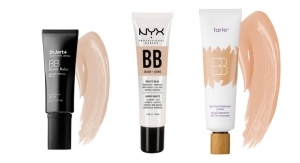 One end can be used for shadow; the other for concealer. Beauty Yaurient displayed a full array of brushes and applicators, many in interesting shapes. 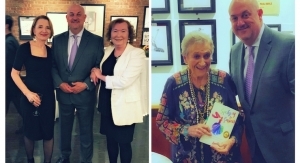 The Blooming Rose design won a place on the show’s iconic Innovation Tree—both for the floral shape of the brush and the design of its handle. 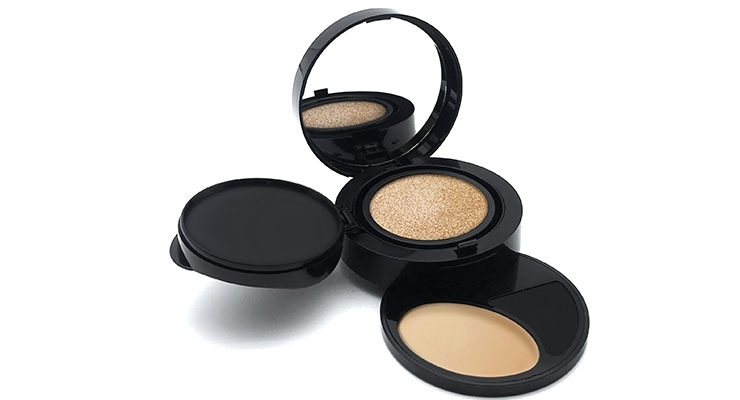 Livcer offered a number of innovative sampling formats, including a mini cushion compact with liquid foundation. 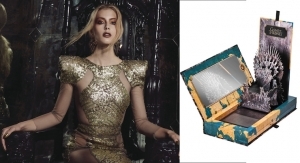 It’s a complete, flat blister that can be finished with a foil or a shade of foundation, and then inserted in a magazine. 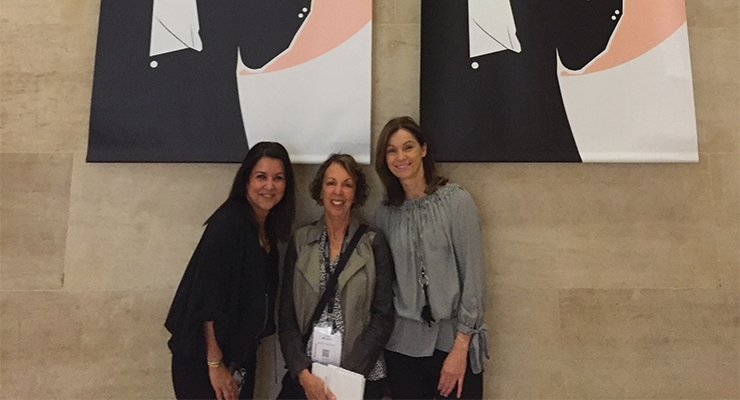 See you at MakeUp in Paris 2019–for the 10th anniversary! 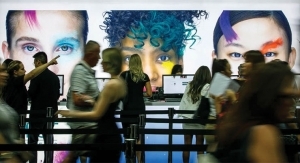 In the meantime, see you at the other MakeUp In… shows throughout the year—next, in New York, September 12-13.